Selling season: 01.Jan - 01.Jan. The excursion beginns from your hotel, passing by Cetinje and Podgorica, to the town of Niksic. From the road Podgorica - Niksic the curvy, mountainous road, which offers panoramic view to the Bjelopavlici valley and Zeta river, leads you further to the Ostrog monastery. After stopping at the parking place in front of the Lower monastery, we continue on foot to the Upper monastery were the relics of St. Vasilije are first to be visited. When you approach the monastery an old monk will tell you about the miracles performed by the Saint in this place. On the way back we visit the Lower monastery. After the visit, lunch in the National Restaurant. 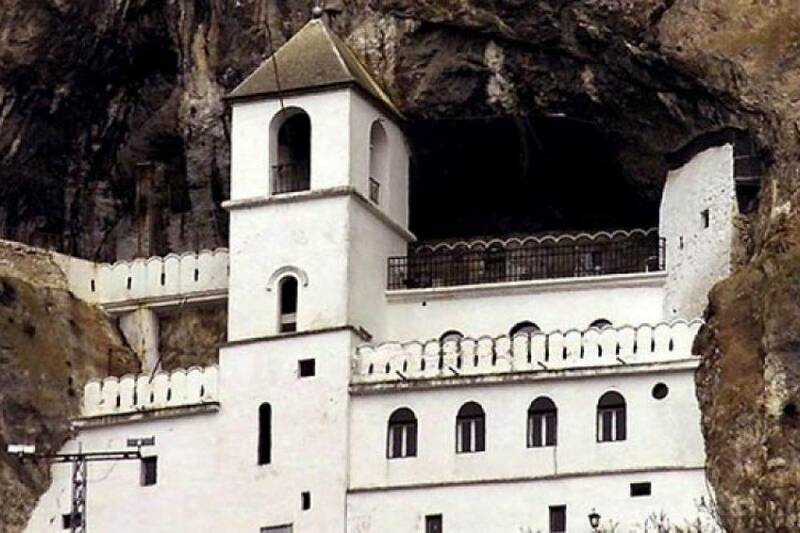 The Ostrog monastery is not only an Orthodox sanctuary, but it is also visited by followers of all religions throughout the world, who come here to pay homage to the relics of the Saint Vasilije, in search of a cure for their body and soul. After the tomb of Jesus Christ and the Mountain Athos, the monastery of Ostrog is the third most visited shrine in the Christian world. 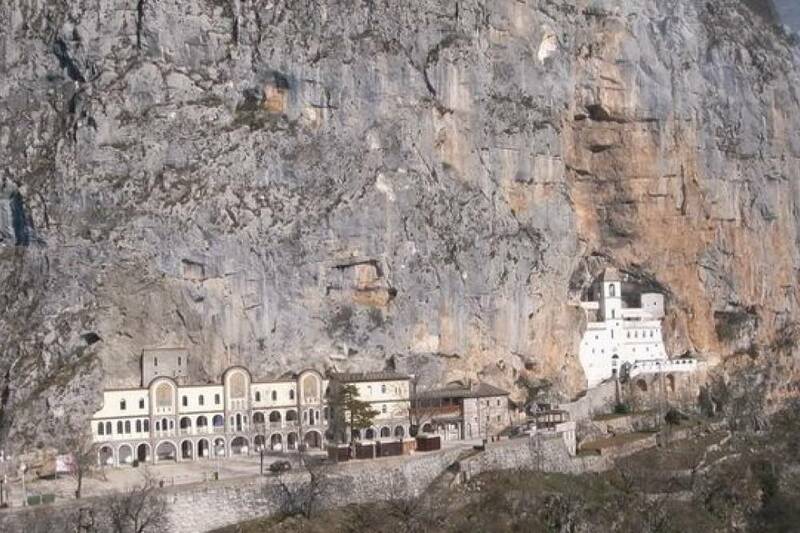 The Ostrog Monastery was founded in the 17th century by the Metropolitan Bishop of Herzegovina Vasilije, who left the monastery Tvrdos in Herzegovina because of the Turkish invasion. He died in Ostrog in 1671. After seven years he was declared a saint and wonder worker. A grapevine grew up from the stone on the spot where he passed away, even though there is no soil in the stone. It's believed that the fruits of this grapevine are cure for infertility. That is just one among numerous wonders of Saint Vasilije. 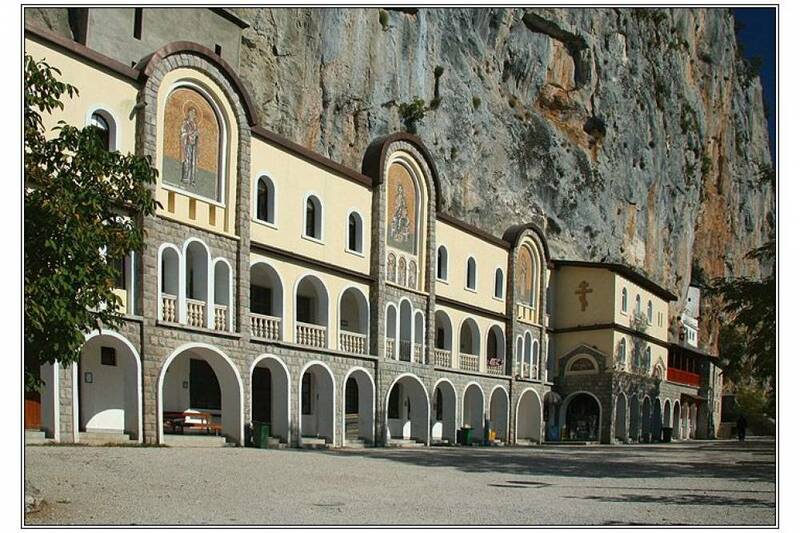 The Ostrog monastery consists of Upper and Lower monastery. Curved into the magnificent mountain cliff of Ostrog, after wich it was named, the Upper monastery is the place were miracles happen. It has two churches: Presentation of the Mary to the Temple, a resting place of the Saint Vasilije’s relics, and Holy Cross. Churches are decorated with frescos painted by our famous painters in the 17th century, partly painted on the rocks of Ostrog mountain. Lower monastery was built in the 19th century and consists of the Holy Trinity church, monastic residances and religious school from the 18th century. Still today regular liturgies are held hier, baptism and weddings are performed. There is ca. 5 km long road from the Lower to the Upper monastery, but also a shorter foot path through the woods and can be crossed in about 25 minutes. In order to experience the magnitude of this place you should walk this path as the most humble of pilgrims. 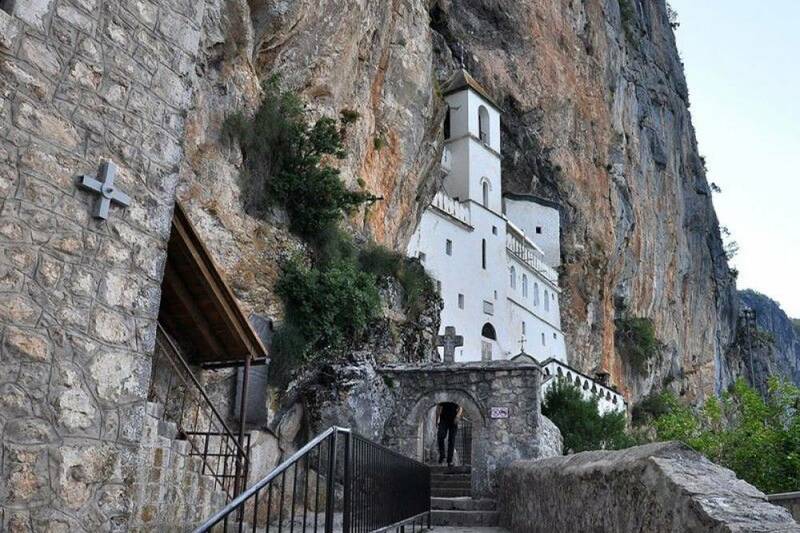 The Ostrog monastery in not only religious, but also cultural and historical monument. It testifies about the past and present time, about belief, culture and tradition of the people how live here for centuries. After lunch we go back to your hotel.